The advent of the 21st century marked the dawn of the “social age”. Groundbreaking developments in the field of information technology have enabled people across the world to share ideas and information in a seamless manner. Social networking platforms such as Facebook, Twitter, LinkedIn, and YouTube have become a part of our lives and transformed the way we interact. The corporate world was quick to realize the immense potential of social networks to facilitate the acquisition of knowledge. Many companies are using these platforms to enable high quality collaboration among their learners. Learning has truly gone beyond the four walls of organizations; it has gone social. Are you too planning to embark on social learning initiatives? How can you facilitate effective learner collaboration? What does it take to unleash the power of social learning to improve the knowledge and skills of your employees? One of the ways in which you can create a collaborative learning environment is using a Learning Management System (LMS). 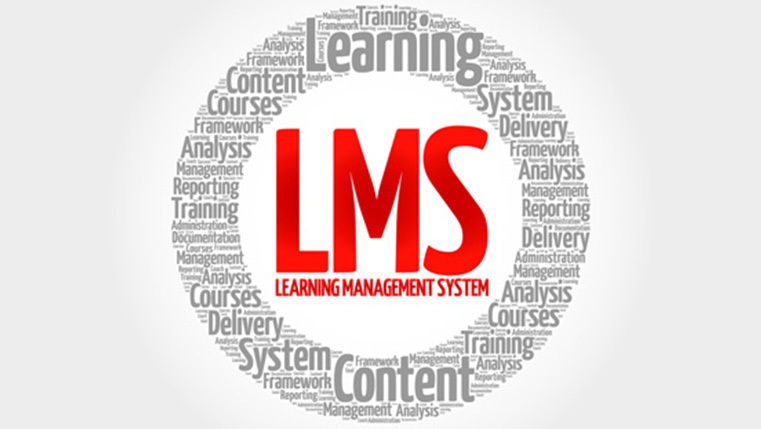 An LMS is a software application that allows you host, manage, and track training programs in an effective and organized manner. You can use an LMS to generate course and user-based reports to evaluate the progress of the learner and the efficacy of the course. Let us now see how an LMS can be used to facilitate and manage learner collaboration. It is a well-known fact that many social networking platforms allow their users to regularly post updates on their network, and there is no reason you can’t utilize this feature for enhancing the knowledge of your staff members. You can release online learning nuggets to your learners on a regular basis through your LMS. These microlearning modules help update them on the latest developments in the industry. You can set up discussion forums on your LMS to facilitate effective communication among employees. Employees can post their queries on a forum that is open to be answered by others. Trainers and experts can monitor and moderate these discussions to ensure they go in the right direction, benefiting everyone. One of our clients, a multinational insurance company has set up a dedicated team of experts to answer the queries of its learners. The three-member team reviews the questions posted by the company’s 12,000+ strong global workforce on a daily basis and answers them. Tapping into learner-generated content is a good way to facilitate effective social learning, and you can use your LMS for this purpose. You can ask your learners to upload content created by them on your LMS, which can be shared with their peers. You can encourage your learners to collect and share write-ups, videos, blogs, and other useful pieces of content. Learners can rate content posted by their colleagues and comment on the content shared. You can also award a cash prize to the creator of the video that provides the most innovative solution, every month. Gamified learning is the order of the day, and many companies are using the LMS to provide collaborative game-playing experiences. Creating a gamified learning environment helps your staff collaborate in a fun-filled environment. You can use the features of your LMS such as tracking scores, awarding badges, and displaying points on leaderboards to foster a spirit of competition among your learners. It is a good idea to divide your learners into different groups and enable them to compete against each other. The learning management platform can be used to help members of each group collaborate. You can display the points scored by each group on an “organization-wide” leaderboard. This motivates each group to score the highest number of points and outperform others. We thus see that your LMS can be used to facilitate social learning of high quality. How do you use your LMS to enable your learners collaborate effectively? We’d love to know.